Over the last few weeks we've been telling you about several lovely locations in the region of Setúbal. Now we want to tell you about one very special location considered by many as simply the heart of this region. The originality of the scenery and harmony of Man in his environment reveal a perfect integration of the two in a natural and socio-cultural context which surround it. These chalky hills have the only surviving example of primitive Mediterranean vegetation. Tucked away in the heart of Arrábida's Natural Park, the formation goes back 180 million years. The soil and mild climatic features, considered the best in Portugal, have produced a lush vegetation rich in species. The park covers the Arrábida Hills, which mediterranean-like vegetation and microclimate resemble Adriatic locations. Although the 50km-long ridge of the Arrábida attains a maximum of only 501m (Alto do Formosinho), the views from the top are truly spectacular, giving the impression of much greater altitude. The strategic position of the Arrábida Marine Park makes it an ideal laboratory to travel for studies on marine biodiversity and climate change. What to do in the Arrábida mountain? Beaches: Relax on the sand at Portinho da Arrábida, a delightful small beach nestled in a bay with calm, crystal blue-green water that is excellent for swimming and diving. Make a visit also to Figueirinha, it looks out over the Bay of Setubal and has the beautiful backdrop of the Serra da Arrábida hills. The popularity of this beach is aided by both the ease of access and the calm waters and is suitable for windsurfing at low tide, when a cove is created by a sandbank. Walking Tours: Travel here and dive yourself into the wild landscapes of the Arrábida mountain on a guided walking tour which offers you a chance to capture the true essence of the region. Sports: Mountain Biking, hiking, sea kayaking are some of the many sports you can practise here, since the mountain and the bay below offers perfect conditions for these sports. Jeep tours: This is the most popular safari trip practiced in the surroundings of Lisbon,with stopovers in places for fantastic views of the mountain and the ocean.. Tip: Combine the tour with a wine and cheese tasting. Photographing: With a beautiful and breathtaking scenery, the Arrábida mountain is the place to travel and to be for landscape photographers. Arrábida Monastery: Built on 1542 by Frei Martinho de Santa Maria, this monastery is hidden between the lush vegetation. Used by religious orders in the past, it has the "old monastery" with some rooms built inside the rocks and the "new monastery" where later was built the kitchen, library, watch tower and other rooms. The monastery is currently owned by the Orient Foundation, with many cultural events taking place. Just relaxing: This location is perfect if you're looking for the tranquility and peace that only the contact with nature offers. A perfect place to meditate, relax or just listen to the nature sounds. And why not combine several activities together to make the perfect holidays? 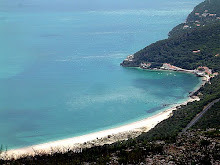 The Natural Park of Arrábida is an area of excellent views, culture, history and hundred-year-old traditions as well as having an economic importance regarding tourism. Add it to your travel guide! 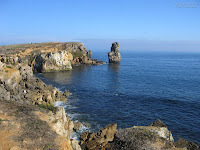 The nature park (land and sea) is currently being proposed as an UNESCO World Heritage Site and was a "Gift to the Earth" by the Portuguese government through WWF in the International Year of the Oceans (1998). Visit us on Facebook and watch the video with stunning photos from the Arrábida mountain. Sines is a county of the Setúbal region located 150 km south of Lisbon at the very centre of South-western Portuguese coast. Bordering the sea and the countryside, Porto Covo is a picturesque village with some of the most beautiful and preserved Portuguese beaches, protected by the natural park of Sudoeste Alentejano & Costa Vicentina. The town's history dates back to Roman times when it was called Sinus. Over the years t established good tradition relations with some of the Mediterranean nations and thrived. Sines is the birthplace of explorer Vasco da Gama (1469-1524), discoverer of the sea route to India in 1497/98. The house where he was born has been reconstructed as a museum. What do do in Sines? Historic centre: Sines’ historic centre goes along the cliff, from the Castle to the Fortress of Revelim, and remains charming, in spite of all the changes in the land. Besides the magnificent views to the Atlantic, in all its length, we must highlight, among the points of interest, the shopping streets, around the ancient medieval axis (Rua Cândido dos Reis and Rua Teófilo Braga), the Largo dos Penedos (with the ancient watch-tower, where fishermen watched the sea) and Rua Vasco da Gama, where the manor house that caused his expulsion from Sines was supposed to be. 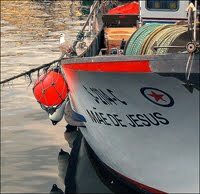 Fishing Harbour: The history of Sines was, until 35 years ago, the history of a fishing village. 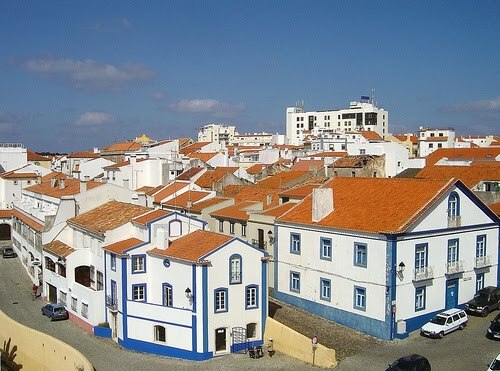 Nowadays, in spite of not having the importance of times past, fishing continues to employ hundreds of men and to give the bay of Sines a charm and colouring unique in Alentejo. 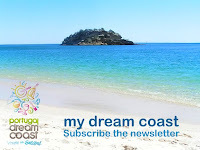 Before or after your meal, in summer or in winter, a visit to the fishing harbour and to the marginal avenue of Beach Vasco da Gama may be an incursion to the emotional centre of the city. Visit to Porto Covo: Porto Covo is one of the most beautiful villages of the country, and, for certain, one of the most beautiful coasts, also a jewel of popular architecture. 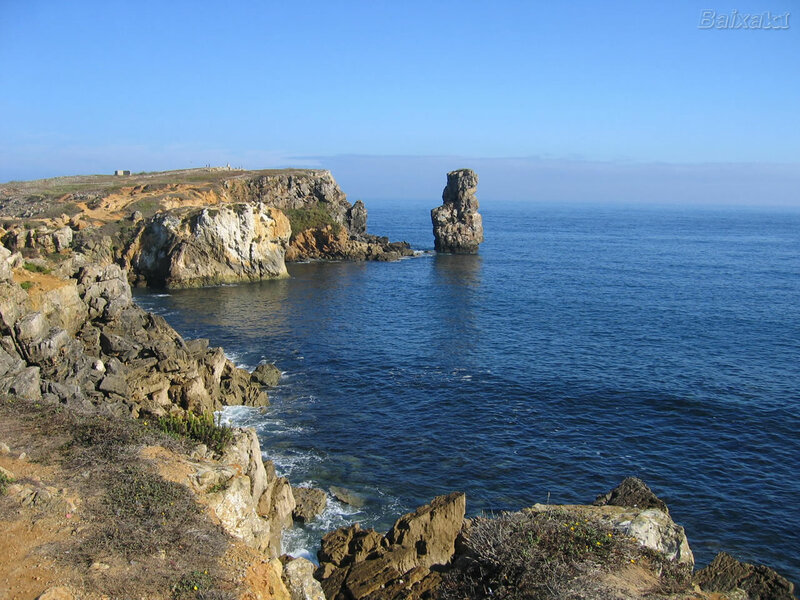 Visit the Ilha do Pessegueiro, the channel of Pessegueiro Island was used as a harbour of refuge by the Carthaginians and the Romans in the difficult climb of the coast of Alentejo. Family beaches: The Beaches of Morgavel, Vale Figueiros, Grande of Porto Covo, Ilha do Pessegueiro and S. Torpes, which, in the last few years, were rewarded with the Blue Flag of Europe, are excellent due to their natural characteristics, and due to the possibility of receiving the whole population, from the children to the elders. Naturist beaches : Praia do Salto (Beach of Salto). Located between Cerro da Águia and Cerca Nova, with a private and peaceful environment, it is part, since 2002, of the restricted group of naturist beaches officially recognised in Portugal. Historic beaches: Praia Vasco da Gama (Vasco da Gama Beach): Integrated in the urban tissue of the city of Sines and testimony of the main events of its history - from the pirates attacks to the embarkation of D. Miguel to Brazil -, it is part of the face of Sines and of the heart of its people. Adjoining the Fishing Harbour, it remains charming and deserves to be visited, both in the summer and in the winter. Its marginal avenue is much used for walks and jogging. World Music Festival: The Festival Músicas do Mundo (FMM), organised by the City Council of Sines, since 1999, is the most important event of the cultural year in Sines and the biggest of the kind in the country. Held, every year, in the last week of July, in the historic scenery of the Castle, FMM gathers the most important names of the world circuit in world music, jazz and blues. Art Centre: An architecturally innovative space (the Aires Mateus architects’ project was awarded the AICA/MC 2005 prize), are held exhibits, concerts, theatre plays, book presentations, and so on. 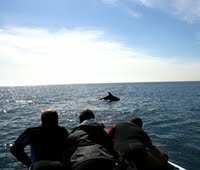 Guided visits available. Archaeological museum and Sala's Treasure: It can be visited within the walls of Misericórdia Chapel, a building immediately next to the Mother Church and the Castle. It’s an historical church, rebuilt in 1585 by D. Felipe I and reconverted to cultural functions in the 1990’s. The museum includes pieces from the Palaeolithic to the Baroque period. 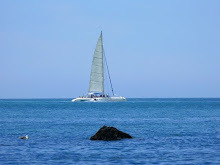 Join us on Facebook and see fantastic photos of Sines. 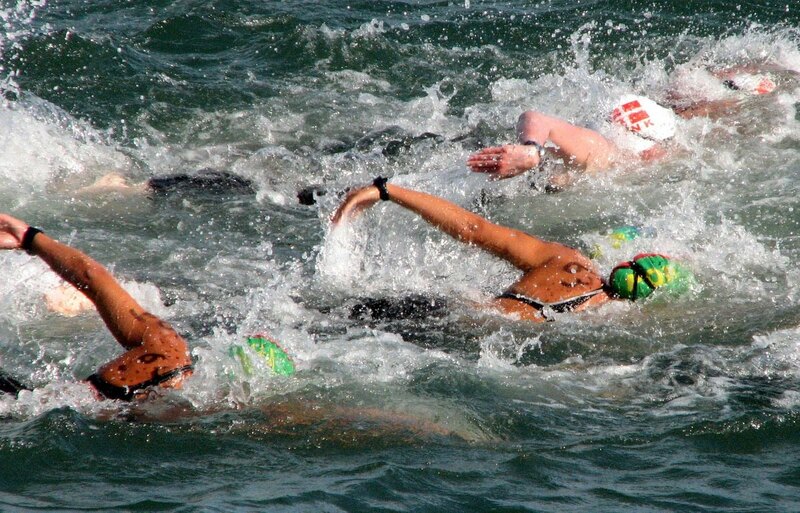 Organised by the International Swimming Federation (FINA) it will take place in Setúbal on the 26th June the 2010 10k Marathon Swimming World Cup which will be held in the Setúbal Bay, in front of the Albarquel Urban Park. On its 5th edition, this competition takes place each year in Setúbal and this year is part of nice races in three different continents. The Portuguese people possess an outstanding passion for open water sport due to the proximity with the sea and maritime heritage and the choice for Setúbal to host this event is due to the beautiful natural environment of the Bay of Setúbal. The event will be held over the Olympic distance of 10km and will attract the best national and international open waters swimming specialists. Spectators will be able to follow all the event from close up and there will be a dedicated area decorated for the occasion, with entertainment from DJ's. The event will take place at 4pm but if you're coming to Setúbal and are an open water enthusiastic like us, you'll get the chance to participate and compete over the same course in the open event held at 11am on the day. How cool is that? A flying display by the Aerobatics Team will complete the programme of activities planned for the afternoon. Join us on Facebook and see photos from last year competition. Palmela is a charming small town centred around a fortified castle at an altitude of 1200 metres at the edge of the Arrábida mountain range, 40km south of Lisbon and 10km north of Setúbal and it's a semi-rural town, right in the middle of Portugal's biggest urban area. 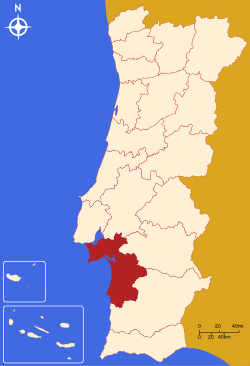 Portugal’s first king, Afonso Henriques, captured Palmela from the Moors in the mid-12th century after a surprise attack on the King of Badajoz. Its past strategic importance is evident given that the views from here are astounding, taking in vast expanses of farmland, the Sado estuary to the south and even Lisbon to the north. Palmela lies at the heart of one of Portugal’s richest wine growing regions, reflected in the lively local annual festivities and the wines of this region have achieved international awards in several festivals like Bordeaux's. 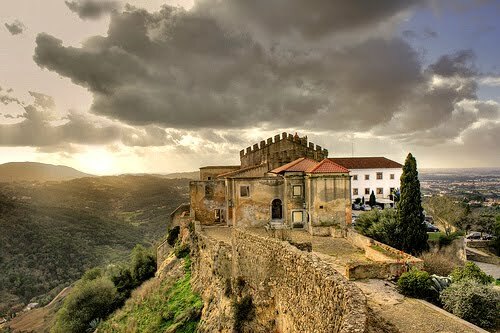 Castelo de Palmela: You cannot come to Palmela without a visit to the famous Palmela Castle. Originally a Moorish stronghold, with magnificent views on a spur of the Serra da Arrábida, the castle was constructed following the reconquest in the 12th century and remains a solid example of fine military architecture of the time. A monastery was also added to house the faithful of the Order of Santiago, and it is this part that has been painstakingly transformed into possibly Portugal’s most desirable pousada. Festa das Vindimas: Taking place on the first Sunday of September to celebrate the wine harvest, the town’s annual wine harvest festival (Festa das Vindimas) is one of the liveliest occasions in the region. Arrábida National Park: Palmela is also an excellent base for exploring the natural assets of the Arrábida National Park where ancient forests contain much wildlife and the secluded monastery. As a curiosity, some famous individuals such as Hans Christian Andersen were briefly hosted in Palmela. Join us on Facebook and see more photos of Palmela. The 2010 edition of the sports magazine "Sports Illustrated" was photographed in Portugal. It included models like Cintia Dicker, Jessica White and Bar Refaeli. breathtaking scenery of the Setúbal region, at the Portinho da Arrábida beach and in a wine cellar in Azeitão. 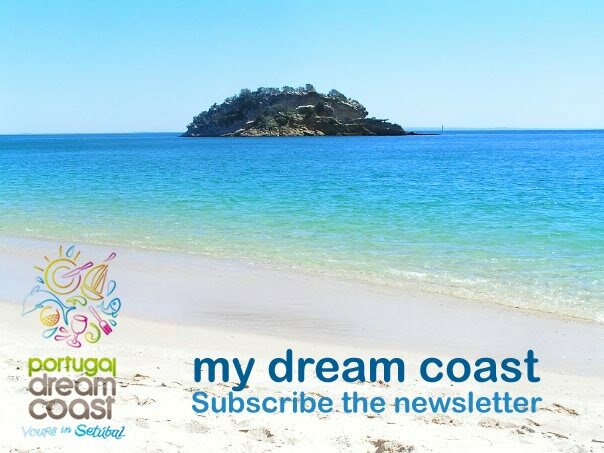 Send an email to info@portugaldreamcoast.com with your first and last name, email address, job title and country and you'll receive a confirmation email back. 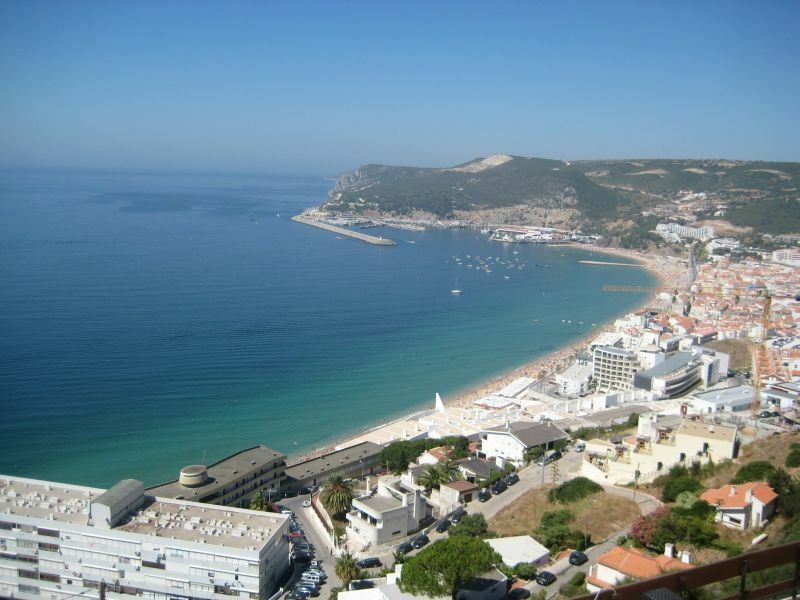 Sesimbra is an oceanfront, picturesque fishing village in a sheltered bay overlooked by a Moorish Castle that offers wonderful views from its ramparts. Is about 40km due south of Lisbon and is situated nestled at the foot of the hills of the Arrábida mountain and inside a sparkling blue bay, protecting it from cold northerly winds. In the old town is a 17th century fort overlooking the sea, a good starting point for a scenic walk before hitting the beach that, although crowded in the summer, has unpolluted waters ideal for swimming. Sesimbra is a pretty place to escape and a wonderful place to eat fantastic fish, stroll on the promenade or relax on the stunning beach with its enticing clean blue water. Sesimbra retains much of its fishing village atmosphere. The many local churches are still regularly full of the faithful praying for a good catch and the safe return of their men. In late afternoon the fishing boats return and there's a fish auction on the dockside. That same fresh fish can be sampled at one of the several restaurants along the shore. Tuna and Swordfish are stars in the local menu. Cabo Espichel: An impressive and mystical promontory with breathtakingly large cliffs which drop almost vertically several hundred feet into the Atlantic. The views of the coast and ocean are stunning. Medieval Castle: At the top the hill behind the town, on the site of a Moorish fortressDom Sancho II, stands the restored medieval castle built in the 13th century which also encloses a 12th century church, Church of Santa Maria, and affords wonderful views from its ramparts. 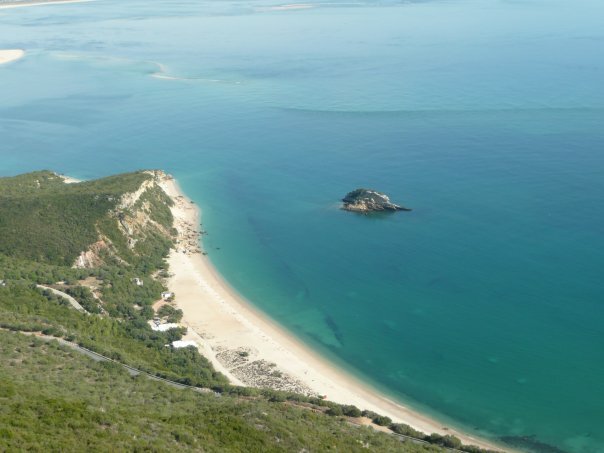 Hills of Arrábida: Glorious views of the coast and the countryside abound as you drive along the knife-edge ridge in this nature reserve which hides in its abundant flora. Beach: Hit one of the many beaches around Sesimbra. 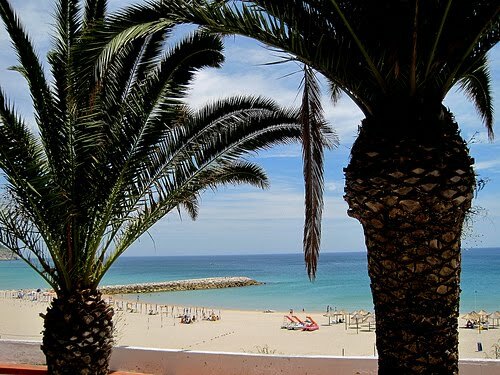 One of them, named Lagoa de Albufeira , is an excellent location to practice windsurf, kitesurf, surf, scuba diving, or simply relax on the white sand. Restaurants: Dine in one of the many beach-front fish restaurants after taking a relaxing evening stroll along the promenade. Nightlife: In the Summer, people enjoy just going out. There is street animation, live music and some trendy bars. The countryside of Sesimbra is covered with an abundance of rosemary, myrtle, cistus and thyme which give it that characteristic 'vacation' smell. 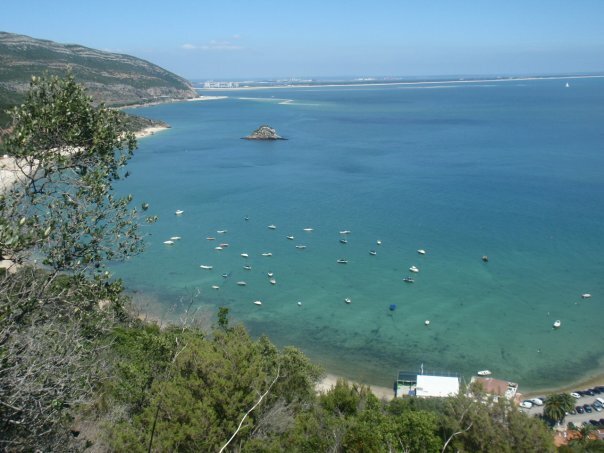 You can travel by car or reach Sesimbra by buses that leave several times during the day from Setúbal. There is also a construction plot in this location, should you love Sesimbra to much that wish to build the perfect holiday home. 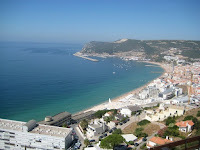 Visit us on Facebook and see more photos of Sesimbra.